When parents decide to divorce, while knowing their divorce may cause some pain, most are well aware that divorce affects children. Many parents divorce while keeping in mind their children’s best interests. Most parents are very worried for their children during the process of divorce and some may continue to stay in an unhealthy relationship in order to save the child some emotional pain. However, recent studies have shown that while children may experience some health issues soon after the divorce due to stress potentially increasing the risk to a weaker immune system, other studies have shown that children soon heal from the experience of divorce and that while divorce affects children, the effects may not be necessarily huge. A study completed by the Carnegie Mellon University in Pittsburgh analysed the effects of a virus that causes the common cold in 201 quarantined healthy adults. The adults were then monitored for 5 days in an attempt to see how the virus reacted within their bodies. According to this study, the adults whose parents did not live together and no longer communicated with each other were around three times more likely to develop the cold compared to the adults who grew up with two parent in the same house. Interestingly, adults who had grown up with parents that were separated but still remained in contact were no more likely to catch the virus causing the cold. Around 51% of the participants whose parents were separated had parents that did not communicate. While there may be barriers to this study as there were questions about the participant’s ability to fully remember if their parents communicated once they separated, researchers believed the trends of the study resulted in the conclusion that it’s not necessarily that the divorce affects children, but that the communitcation of the separated parents that affected their children the most. A further caveat, said the researchers, was that the adult children may hold similar personality traits to their parents such as depression and hostility, perhaps resulting in a weaker immune system. However, this study has shown that there may be ways to prevent worse health outcomes, such as the child remaining in contact with both parents and encouraging communication between both. 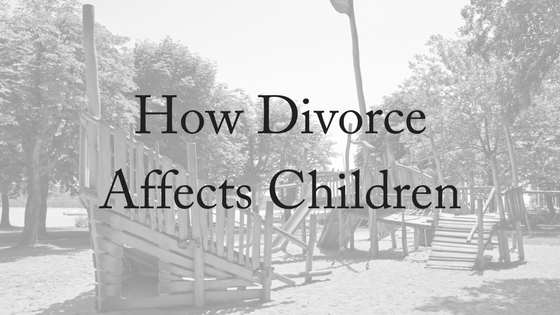 While divorce affects children in the short term, it has been suggested that the impact may lessen over the years. The short term effects may include denial, anxiety, anger and shock. However, these effects seem to decline over the years. More studies have shown that children become used to a new pattern after a couple of years and function well once a routine is established. Unfortunately, if some children experience conflict and acrimony on a continuing basis between their parents, then the negatives consequences are often increased. The easier the adjustment into the new situation, then the faster the child’s negative effects will disappear. Statistics show that a minor percentage of young adults will experience problems as a result of their parent’s divorce. The troubles may arise due to the parents arguing or a messy, high-conflict divorce. The stress can also increase a young person’s risk of depression and addiction. Due to the separation of the parents, the children may feel as if they cannot discuss these issues. Fortunately, studies show that while young people may suffer some negative consequences, they are able to adapt and become well-adjusted adults. Children of divorce generally appear to do well and eventually manage to deal with the effects of divorce. 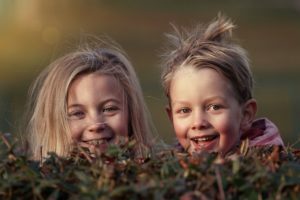 Children seem to do well if the conflict is minimised within the family and where they can have a meaningful relationshp with both parents on an ongoing basis. Amicable co-parenting is one important way you can help your children not to suffer the affects of divorce. It is also better to speak clearly with your children and ensure they understand what is happening, but that they know everything will be okay and that they will still remain in contact with both parents. Parents should remain supporting of the child’s activities and be emotionally supportive. It should also be understood that children with different personalities may cope differently, and so it is best to be flexible in your approach with each child. Keep strong communication between you and your child and ex-partner. Your child has a right to stay in contact and understanding of what is happening within the family unit. At Brisbane DIvorce Lawyers, the children’s best interests are always kept front and centre during divorce. For compassionate, expert care, contact us today. We offer a free, 10-minute phone consultation.